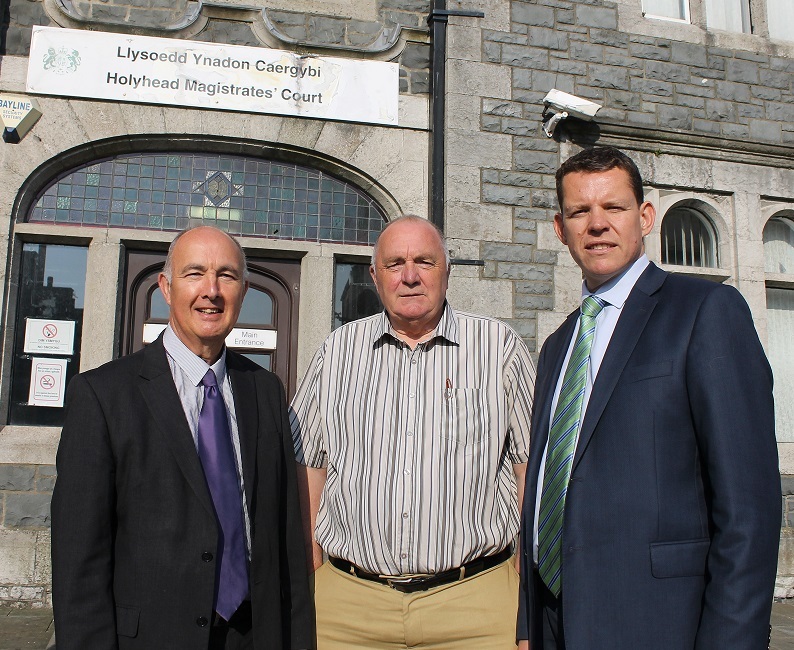 Ynys Môn Assembly Member Rhun ap Iorwerth has responded to the courts consultation, objecting to the proposals to close both Holyhead Magistrates’ Court and Llangefni Civil and Family Court. You can read his consultation response below. I write in response to the consultation on the proposal regarding the provision of court and tribunal services in Wales, and specifically to object to the proposal to close. I was very disappointed to hear of the proposal to close the two courts, a move that would leave Anglesey with no court provision at all. This move would have a seriously detrimental effect on local justice and would lead to real practical difficulties for those who use the courts – be they defendants, lawyers, the police or Justices of the Peace. The difficulty people would face travelling to Caernarfon rather than Holyhead or Llangefni, especially considering the rural nature of the constituency and a lack of public transport in some areas. The consultation document itself recognises how much longer it would take for people to travel, but does not take into account that many villages are already some distance away from the present courts – e.g. a journey from Amlwch or Cemaes would take even longer than the ones stated in the document. Victims would have to travel greater distances to give evidence and see justice served, at an already distressing time for them. The additional costs for people to travel to Caernarfon rather than Holyhead or Llangefni, especially considering that a number of the clients are on low incomes or benefits. The effect that closure will have on the towns themselves – often, people who attend or work in the courts also visit the town’s businesses including shops and cafes. The Government suggests that people will have more access to courts through digital technology in future, but there will always be a need for many people to physically attend courts. In addition, there are several areas in Anglesey where the broadband connection is slow or non-existent. There are also mobile not-spots on the island, and many people are not computer literate or not confident using IT. Holyhead and Llangefni are the largest areas of population in the area, but consideration must also be given to the many hundreds of thousands of people travelling to and from Holyhead Port annually (the UK’s second busiest ferry port) and the fact that there may be up to 8,000 workers involved in the construction of the Wylfa Newydd nuclear power plant in coming years. It is a concern whether people in Anglesey will want to, or be able to, act as Magistrates as they would have to travel to Caernarfon before to perform their duties. I ask you to give careful consideration to these local concerns before making a decision on the proposal to close the courts in Holyhead and Llangefni.